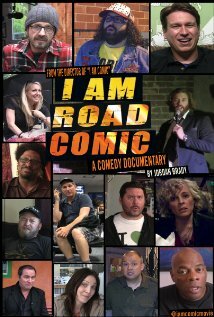 Several years ago, filmmaker Jordan Brady put out the documentary I Am Comic which illuminated the realities of being a stand-up comic.After being offered an out-of-state stand-up gig, he decided to make I Am Road Comic in order to document the costs of doing a road gig. He teamed up with his friend Wayne Federman and they traveled to the site. Interspersed throughout Federman and Brady’s experience on this stand-up gig are interviews with a variety of comics about life on the road. The success of I Am Comic allowed Brady a larger pool of comedians from which to cull interviews this time around. Since making I Am Comic, Brady’s met a lot more comics and could bring different voices and representation from the comedy world to the screen in I Am Road Comic. I spoke with Jordan Brady by phone last week. We’ve been twitter friends for a while since I watched/discovered I Am Comic. We started the conversation by talking about interviews by phone vs. Skype. I said I was hesitant to interview a band on Skype because I didn’t want anyone to see me and the delight that Jordan is, he replied: “I’ve seen your avatar, you’re a pretty woman. Why don’t you show it off.” Very sweet. Amy Steele: After doing I Am Comic what made you decide to do I Am Road Comic? 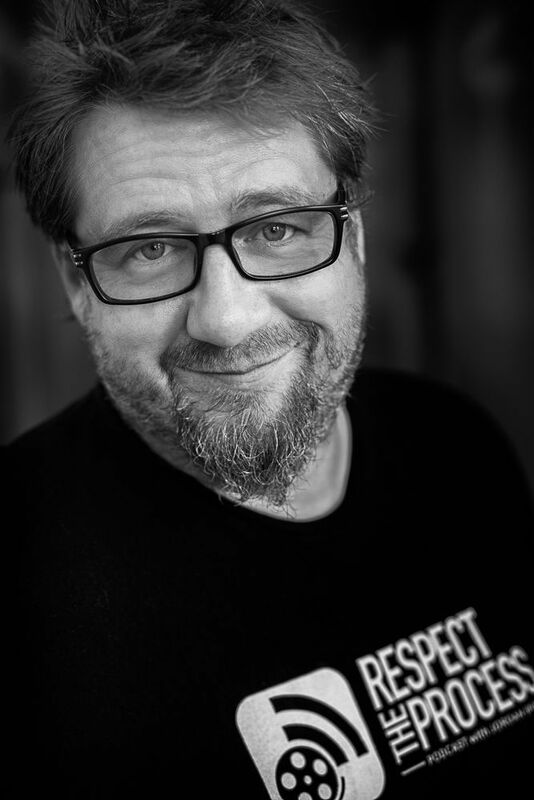 Jordan Brady: The success of I Am Comic led comedians that book shows—there’s this new trend that comedians often book their own nights at bars especially—they brand their own show. They mistakenly thought I was an active stand-up comedian because of I Am Comic. When I was asked to do a show. At first I said “no, no, no I’m a filmmaker now.” They said, “just come and do a set.” Finally I said yes. They booked me and I said I don’t have 45 minutes. I figured it would be a great documentary. Amy Steele: So you were a stand-up a long time ago. Jordan Brady: 20-something years ago I stopped but I’d started as a stand-up comic when I was 18 and did the road for 14 years. Colleges. Even though I knew this would be a good story of being on the road and I would take my good friend Wayne Federman with me, I knew it wouldn’t be the crux of the documentary. The meat of it would be the newer guys like TJ Miller, Marc Maron. The people that have rose to prominence in the last five years. People like Doug Benson and Marc Maron I’ve know for 30 years but TJ Miller, Maria Bamford, Jen Kirkman I met by going to clubs and they said they loved the movie. I Am Comic paved the way for these interviews in I Am Road Comic. Amy Steele: What was your goal in making this? What’s the difference between I Am Road Comic and I Am Comic? Jordan Brady: Economics was the difference. I was squeezing 80 comedians into 80 minutes. This time I wanted to approach it gorilla-style, as just me and a camera. Me on the road. I had to film it and also remember my comedy material. With I Am Road Comic I wanted to specifically point out low-level road comedians and how you have to be so cost-effective. The only thing I knew was I was going to keep a tally of the expenses. For a gig you get a couple hundred bucks per show which is decent money for a bar gig. As soon as I had to buy a plane ticket I would only break even. Amy Steele: How did you decide who to interview and how did you get people involved? Jordan Brady: Less people because I realized if I had less people they’d get more screen time. I wanted to get more in-depth. There were a lot of old white guys in I Am Comic and I think the world has seen its share of old white comedians. I tried to get more females and I tried to get more minorities. A comic is a comic whether they’re a man, a woman, straight, gay, black, white, Puerto Rican. I don’t delve into that. But I wanted younger hipper guys who are more relevant. Doug Benson and Marc Maron put out a couple of podcasts every week. I wanted to talk to comedians who were more personal in their material rather than jokey jokers. I wanted comedians that were honest in their material and their comedy was based on life experiences and based in reality. Some guys are road warriors like Alonzo Bodden. I think he works 45 weeks a year. Nikki Glaser is kind of a throw-back to the old-school road comics. There are only two guys who are famous for being comedians—Louis C.K.—but it took a television show to make him famous. Jerry Seinfeld played himself on Seinfeld. But until they had a scripted vehicle on television it’s hard to make it as a comedian. It takes a series– and of late podcasts– to put people on the map. And radio is still big in the Midwest. If I had a thesis it was how relevant was the road to being a comedian today. The fact that Seth Milstein took a bus for 16 hours to perform his first road gig—and he wanted to be in a documentary—the answer was yes. if you enjoy my interviews please consider donating so I can keep doing what I’m doing. Every dollar helps. Make a Donation button at right on my site. This entry was posted on September 18, 2014, 04:33 and is filed under DVD, Film, Interview. You can follow any responses to this entry through RSS 2.0. Both comments and pings are currently closed.